Tamil Nadu Fisheries Department Recruitment 2017 – 13 Technical Assistant Posts :- Government of Tamil Nadu, Fisheries Department has published latest notification for filling up 13 posts of Technical Assistant under Tamil Nadu Fisheries Engineering Subordinate Service. Desirous & eligible candidates can apply in prescribed application format on or before 14/07/2017. Application Procedure : Desirous & eligible candidates can send their application in prescribed format along with all relevant documents to The Chief Engineer, O/o. the Director of Fisheries, Fisheries Department, DMS Campus, Teynampet, Chennai-600006 on or before 14/07/2017. 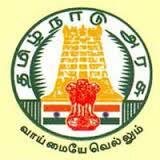 Subscribe our free job alert mail for Tamil Nadu Fisheries Department Recruitment 2017.